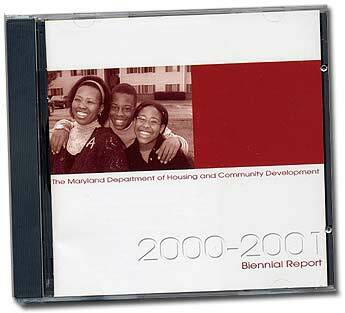 I created the first Annual/Biennial Report on CD-ROM for the Maryland Department of Housing and Community Development. Built using Macromedia's Flash technology, the project involved interviewing clients, taking photographs, writing articles, editing audio, and THEN pulling it all together into one product. Multiple versions were created for a print insert, and slow/fast online versions.